Are you interested in being a Parish Councillor? Bepton PC is looking for someone to fill a vacancy. If you would like to find out more about being a Parish Councillor, please speak to one of the current Parish Councillors – contact details here. They would be happy to have an informal chat about what is involved. 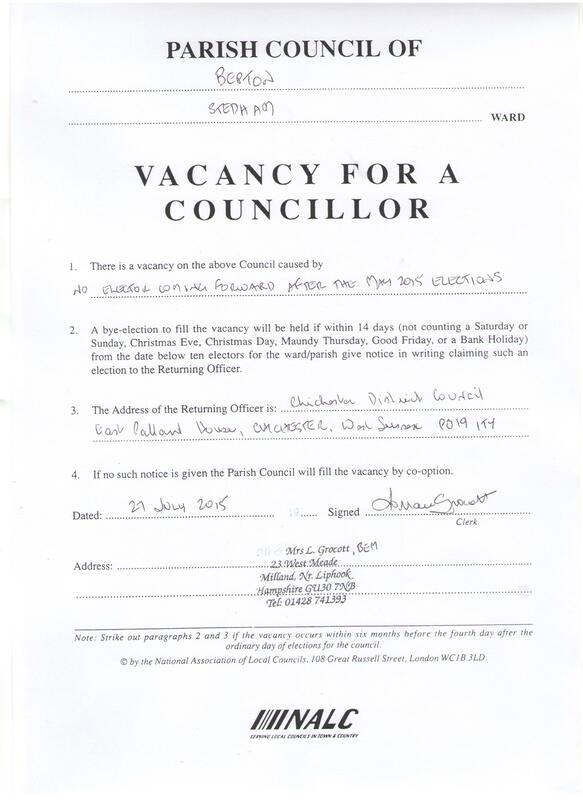 Or, if you know you want to become a Councillor, the procedure is set out in the notice below.